Braider Deb | Braids for All Occasions! For feedback or suggestions to improve this site, email the Web Master, WebDevNick, at nick@webdevnick.com. Debra Jennings has been braiding her own hair since she was a child. In the mid 90’s she began using her talent to braid, or plait hair, at the Kansas City Renaissance Faire as one of the Braidin’ Maidens. 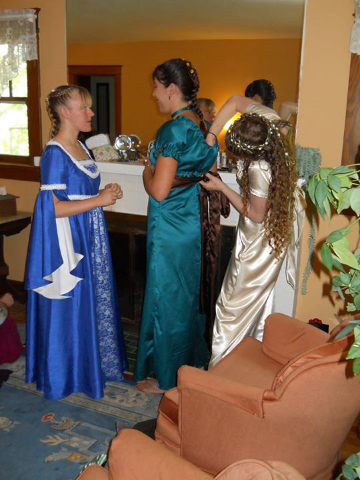 The Braidin’ Maidens have braided thousands of heads of hair over the years and they remain a popular attraction at the 27 year old Faire. Debra may be best known in braiding circles for fighting the Kansas Board of Cosmetology’s efforts in 1999 to shut the Braidin’ Maidens down. The Board of Cosmetology contended that braiding, according to an arcane 1920’s statute, fell under the Board’s jurisdiction and thus anyone braiding hair must be licensed by the Board of Cosmetology. Such a license would have required 1500 hours of training in a licensed School of Cosmetology where a braider could learn about cutting hair, curling hair, coloring hair, in short, everything but braiding hair. Attending such a school would also have cost several thousands of dollars. The Board threatened the Braidin’ Maidens with heavy fines and even jail time. 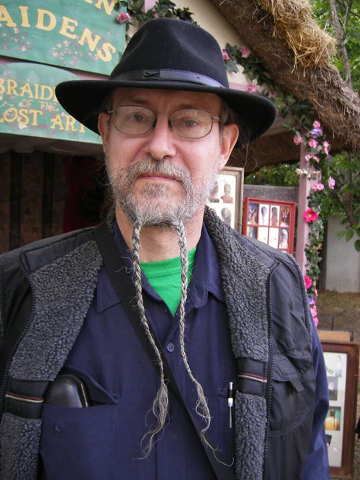 With the help of attorney David Brown, Deb sought and received a temporary injunction against the Board which allowed the Braidin’ Maidens to braid the remainder of the 1999 Faire. In the January 2000 session of the Kansas Legislature Senator Sandra Praeger and Representative Tom Sloan introduced legislation to remove hair braiding from the control of Board of Cosmetology. Despite efforts by the Board that bordered on the bizarre, Bill 513 was passed by a wide margin in both houses of the Legislature and became law on July 1, 2000. Debra has been involved with the Oklahoma Renaissance Faire since its inception 35 years ago. Deb also braids for birthday parties, weddings, and any special occasion. 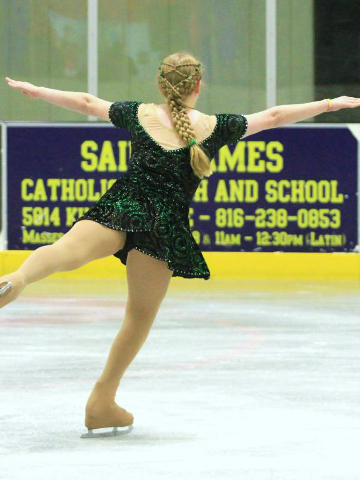 But her focus since 2000 has been on Ice Skating competitions. She braids in over 8 states including Colorado, Iowa, Nebraska, and Oklahoma, as well as Texas and Missouri. Deb presently averages two shows a month. Her large and faithful clientele, her girls, know her simply as Braider Deb. Braider Deb Jennings is a mainstay of the figure skating and Renaissance faire communities and has been for more than 25 years. 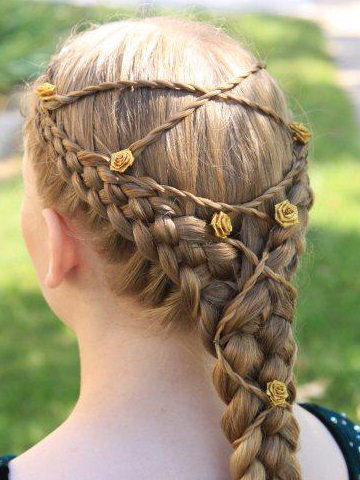 Her creative braid designs range from elegant to whimsical. Braider Deb has many talents and abilities for hair braiding, just ask to see if what you want is possible. Short hair is not a deterrent for hair braiding. 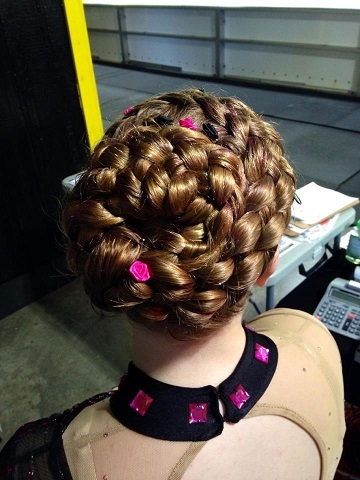 Braider Deb has braided the hair of a wide variety of clients, from ren faire maidens and beginning figure skaters, to Olympians and everywhere in between. Debra Jennings has been braiding her own hair since she was a child. In the mid 90s she began using her talent to braid , or plait hair, at the Kansas City Renaissance faire as one of the Braidin' Maidens.